ON AN icy January morning, twinkly lights and the glow from chic cafés illuminate Hässleholm’s tidy streets. The employment office opens its doors to a queue of one. Posters in shop windows invite locals to coffee mornings with immigrants asking: “What will you do to make Sweden more open?” At first glance, this small town fulfils every stereotype about the country: prosperous, comfortable, liberal. But last year it became the centre of a political storm. Some European politicians saw 2017 as a welcome setback to the rise of populism across the continent. After a 2016 in which support for parties like the SD hit record highs, and England and Wales voted for Brexit, polls showed the populists’ popularity falling (see chart). Marine Le Pen of the Front National (FN) lost the French presidential election to Emmanuel Macron; her party fared poorly in the subsequent elections for the National Assembly. The Alternative for Germany (AfD) made it into the Bundestag for the first time, but not to a degree that truly threatened moderate politics. Two far-right “Freedom” parties, the PVV in the Netherlands and the FPÖ in Austria, did worse than expected in their national elections. The continuing rise of populism, though, is something to measure decade by decade, not year by year. The financial crisis and the large influx of refugees contributed to a spike, but Euro-populism has been growing quite steadily since the 1980s. 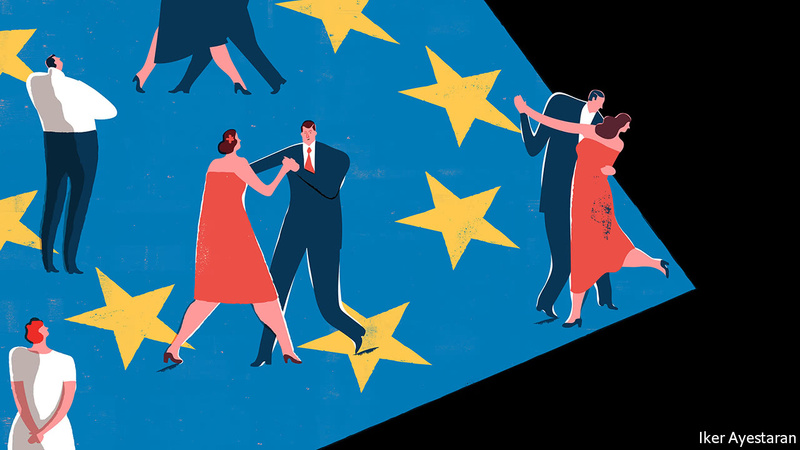 According to a new study by Yascha Mounk of Harvard University and others for the Tony Blair Institute, the populist vote in an EU state was, on average, 8.5% in 2000. In 2017 it was 24.1%. This quantitative increase is producing qualitative shifts in the continent’s politics. As Hässleholm shows, populists are no longer shunned by the democratic mainstream as a matter of course; they are increasingly called into coalitions, co-opted and copied. Defining populism is notoriously subjective, but political science provides some guidelines. Jan-Werner Müller of Princeton University singles out its exclusive claim to represent a “morally pure and fully unified people” betrayed by “elites who are deemed corrupt or in some other way morally inferior”. Populism attacks judges, journalists and bureaucrats it deems not on the side of the people. It speaks the language of silent majorities, national humiliations, rigged systems; of “We are the people” (Germany’s anti-Islam PEGIDA movement), “Take back control” (Brexiteers), “This is our country” (the FN)—and, elsewhere, “Make America great again”. Cas Mudde of the University of Georgia notes that populism is a “thin” ideology. It can have hosts on the left as well as the right and even create hybrids of its own, such as the Five Star Movement (M5S) which is topping Italian opinion polls in the run-up to the general election in March. It can also be practised by politicians whose parties are not avowedly populist. Such politicians can subscribe to a more or less monolithic and exclusive vision of “the people”; they can defend minority groups, the judiciary and the free press to a greater or lesser extent; they can choose honesty about policy trade-offs over convenient scapegoats more or less frequently. Their parties can inch along the spectrum over time. So can whole societies. Take Hungary. The Fidesz party led by Viktor Orbán, the country’s authoritarian prime minister, grew out of the anti-communist movement and governed the country as a fairly conventional conservative party around the turn of the century. But partly under pressure from Jobbik, an extreme right-wing party founded in 2003, and increasingly citing “the will of the people”, Mr Orban has taken to demonising immigrants and minorities (particularly Muslims), attacking the judiciary and disenfranchising sources of dissent. He is demanding that, at the parliamentary election to be held in April, the voters give him a mandate to take on George Soros, the Hungarian-born, America-based billionaire who founded the Central European University in Budapest and who, Mr Orbán claims, has a secret plan to flood the country with Muslims. Most political scientists now consider Fidesz a full-blown populist outfit. Elsewhere the entangling of mainstream parties with populist policies and the populist style takes place in subtler ways. The options open to Sweden’s Moderates illustrate the dynamics at play. The slow growth of the SD has not been enough for it to form a government, as Fidesz, Syriza, a far-left party in Greece, and the Law and Justice party in Poland have done. But by 2014 it was big enough to make it hard for the established parties to form stable centre-left or centre-right coalitions, as was long their wont. The Moderates might have joined a stodgily broad government of the centre right and left. Such governments have become much more common across the continent as the growth of populist parties, along with wider political fragmentation, has made more ideologically coherent coalitions harder to pull off. Today Germany, Italy, the Netherlands and Spain offer variations on this muddled-middle theme, some of them formal coalitions, some looser toleration agreements. Such arrangements are unappealing for ambitious politicians. They also pep up populist rhetoric by proving that the political class is indeed all in it together. The other two options available to the Moderates were to co-opt the populists or to try to steal their voters. Last March Anna Kinberg Batra, Mr Reinfeldt’s successor as leader, leant towards co-option, announcing that after next September’s election she might try to form a government with SD support. This prompted furious arguments which led to her resignation. Ulf Kristersson, the new leader, moved the party towards option two: “In Sweden we speak Swedish,” he declared pointedly in his Christmas message. But an SD-backed Moderate government is still possible. Such possibilities do more than anything to normalise parties like SD. Austria, Bulgaria, Denmark, Finland, Latvia, the Netherlands and Norway have all now seen mainstream parties govern with the formal or informal support of populist parties. In Slovakia a government led by the centre left has a similar arrangement. The number of European governments with populists in their cabinets has risen from seven to 14 since 2000. Their ranks may soon be joined by the Czech Republic and Denmark, where the centre-right Venstre party says it might invite the right-populist Danish People’s Party (DPP), now propping it up in government, to become a full partner after the next election, which has to be held by July 2019. The left is looking at new alliances, too. Last year, for the first time, Germany’s Social Democrats (SPD) went into a general election without ruling out a coalition with Die Linke, a left-populist party descended from the East German communists. Similarly, Spain’s centre-left Socialists have flirted with a deal with Podemos, a movement which grew out of anti-austerity street protests. This all suggests the populist tide will continue to rise. Through analysing 296 post-1945 European elections, Joost van Spanje of the University of Amsterdam has found that, in general, welcoming formerly ostracised parties into the mainstream tends not to reduce their support. Going hand in hand with normalisation-by-coalition—in part its cause and in part its effect—is a growing professionalism and a professed moderation among the populists. In their early days they were often closely associated with frank racism, as with the anti-Semitism of the FN in the days of Ms Le Pen’s father; such sentiments are now increasingly kept at arms length (though in the case of Mr Orbán’s attacks on Mr Soros not very convincingly). They were also chaotic and split-prone. Some, like the UK Independence Party (UKIP), still are. Others, tasting or scenting power, have been getting their act together. The FPÖ in Austria is an example. It was shambolic during its previous turn in government, from 2000 to 2007, but it returned to ministerial power last December with a more sober image, having made efforts to distance itself from the right-wing Austrian social networks known as “fraternities”. “I expect the FPÖ to be much more disciplined and effective this time,” says Mr Mudde. Part of this sprucing up involves tailoring policies to broaden support, which normally comes from the working class. While voters for Podemos, M5S and Syriza tend to be more educated than average, and also younger, the best predictor of support for the right-populists of the north is usually how early an individual left formal schooling. Winning over more bourgeois voters means tempering their message in some ways. Thus the FPÖ is less stridently anti-EU than it was. The same is true of the FN—which now presents itself as a staunchly pro-Israel bulwark against Islamism—the Danish DPP and the AfD. Another part is experience gained in state governments and running municipalities like Wels, near Linz; subnational politics offers a good way to gain acceptability. City government in the north of Italy has helped the populists of the Northern League; in Spain mayors allied to Podemos in Madrid and Barcelona have given the party a stronger national profile. But local power is not always a plus. Corruption scandals and piles of rubbish in the streets of Rome under mayor Virginia Raggi have damaged M5S. This “contagion”, as political scientists put it, is visible across the continent. Mark Rutte, the liberal-conservative Dutch prime minister, has pioneered a style of politics he distinguishes from “the wrong kind of populism”. Before last year’s election his party, pressed by the PVV and the Forum for Democracy, a new nationalist-populist party, ran dog-whistle adverts in newspapers telling foreigners to “behave normally or go away”. In 2016 Theresa May, his British counterpart, rallied her party by attacking “citizens of nowhere” who “find your patriotism distasteful, your concerns about immigration parochial, your views about crime illiberal, your attachment to your job security inconvenient” in a speech that could have come from UKIP. In December France’s Republicans chose as their leader Laurent Wauquiez, a Eurosceptic opposed to gay marriage who wants immigration reduced to “a strict minimum” and plans to make his party “truly right-wing”. New Democracy in Greece and GERB in Bulgaria, facing competition from the extreme-right Golden Dawn and Zankina parties respectively, have taken tougher lines on immigrants and other out groups. In Germany the notionally liberal Free Democrats have called for most refugees to be sent back eventually. In Angela Merkel’s Christian Democrats (CDU) there is talk of a more assertive German “lead culture” and a stronger sense of “homeland”, which may indicate the party’s direction when Mrs Merkel steps down. At the annual gathering in January of the Christian Social Union, the CDU’s Bavarian sister party, Mr Orbán was a guest of honour. Alexander Dobrindt, a CSU grandee, demanded a “conservative revolution” against Germany’s metropolitan minority. One rationale for such cosying up is that it denies the populists exclusive ownership of sensitive issues such as identity, thus allowing reasonable voters to whom such issues matter an alternative not tinged with extremism. But in “The European Mainstream and the Populist Radical Right”, a new book, Pontus Odmalm and Eve Hepburn of the University of Edinburgh conclude that there is “no immediate pattern” suggesting that the availability of mainstream alternatives to the populist right weakens the latter's electoral performance. Meanwhile, on the left, social democratic parties are adopting what John Judis, an American journalist, calls “dyadic populism”. Insurgent populism often boasts three ideological players: the people, the elite, and the “other” (foreigners, immigrants, welfare spongers and the like) to whom the elite has sold the people out. Thus it is “triadic”. The dyadic version has no nefarious third party, just an us-and-them world where a corrupt capitalist political caste has betrayed the proletariat for its own benefit. Under Jeremy Corbyn, a 68-year-old from the party’s hard left, Britain’s Labour Party went into the 2017 election calling British politics a “cosy cartel” and a “rigged system set up by the wealth extractors, for the wealth extractors”. Martin Schulz, the SPD’s centrist leader, sought to protect his working-class flank in last year’s election by railing against bankers in “mirrored skyscrapers”. Another way to get populist politics and policies without populist governments is to hold referendums. In 2013 Dutch populists keenly supported a law enabling any piece of primary legislation to be put directly to the country’s 12.9m voters if 300,000 of them demanded it. In Greece the Syriza government used a referendum to reject the conditions of a bail-out by international institutions. In Britain the referendum on Brexit—the fulfilment of a long-standing UKIP demand—compelled almost the entire political class to adopt a policy confined until recently to its populist fringes. Austria’s coalition agreement opens the door to more plebiscites; so, more tentatively, does the preliminary blueprint for a new CDU/SPD coalition in Germany. In Italy the M5S manifesto promises to give the people opportunities to vote on which laws to scrap. Not all mainstreamers are parroting populist positions. The surge of what Mr Müller calls “illiberal democracy” has produced a backlash. The confidently pro-European, pluralist politics of Mr Macron and his En Marche! party is one instance. Another is the centrist Ciudadanos (“Citizens”) party now leading the polls in Spain. Its leader’s slogan is “Catalonia is my land, Spain my country and Europe is our future”—the first phrase spoken in Catalan, the second in Spanish, the third in English. Other new parties—Modern in Poland, Momentum in Hungary and NEOS in Austria—match the populists’ enterprise and presentational swagger while fighting their world view. As yet, though, they remain small. It looks likely they will grow, but so will the sway of the populists. For a glimpse of what that may mean look at the continent’s last generation of political entrants: Green parties. Originally scrappy, over time they became more professional and started to join local and sometimes even national governments. None has ever led a European country alone, but their influence is felt in the attention now paid to green transport, recycling, renewable energy and certain civic liberties (particularly sexual freedoms). What if the populists are as successful in the next few years? One might expect more authoritarian law-and-order policies, burqa bans, greater opposition to multilateral bodies like the EU, NATO and the WTO, and greater sympathy for Russia (an affection held across the populist spectrum, from Syriza to Fidesz by way of M5S). Expect, too, frequent referendums, less well integrated immigrants, more polarised political debates and more demagogic leaders emoting directly to and on behalf of their devoted voters. Populists do not need to win elections to enact their policies and spread their style of politics. When it comes to gold investments and gold investment analysis, it’s surprisingly similar. You either like gold and think that it’s going higher right away or you’re “one of them”. “Them” can be anyone who tries to manipulate gold or silver prices, “banksters”, or some kind of unknown enemy. “Analyst’s” goal is often no longer to be as objective as possible and to provide as good and as unbiased analysis as possible, but to simply be cheering for gold and provide as many bullish signals as possible regardless of what one really thinks about them. The above may seem pleasant to readers, but it’s not really in their best interest. In order to make the most of any upswing, it’s best to enter the market as low as possible and to exit relatively close to the top. What happens before a price is as low as possible? It declines. 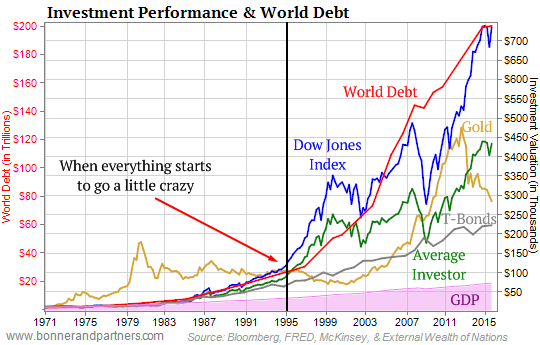 Why would something like that (along with those describing it) be hated by gold investors? It makes no sense, but yet, it’s often the case. Summing up, the precious metals market doesn’t seem to have formed THE bottom in 2015 as the sentiment back then wasn’t negative enough. Higher lows in gold since that time don’t necessarily invalidate the above, especially that there was no breakout above the medium-term highs in the past several weeks. On a side note, before calling us perma-bears, please note that we were bullish (in terms of long-term investments) on precious metals for years – until April 2013. We’re looking for the true bottom in the precious metals sector, not because we’re its or gold investors’ enemy. Conversely, we’re that true friend that tells you if something’s not right, even if it may be unpleasant to hear. In Perry’s proposal, coal and nuclear are described as providing needed security due to their ability to store 90 days of fuel on site. Perry argued that today’s electricity markets do not provide economic security for essential coal and nuclear power generators. He proposed that they (coal and nuclear generators) should receive special financial treatment — subsidies paid by the customers — in order to recover their full costs. On January 8, the Federal Energy Regulatory Commission (FERC) rejected Perry’s NOPR, with the five commissioners (four Trump appointees and one Obama appointee) voting unanimously against the proposal. Although the proposal is now off the table at FERC, it received some support at a more recent U.S. Senate hearing and may stage a comeback. 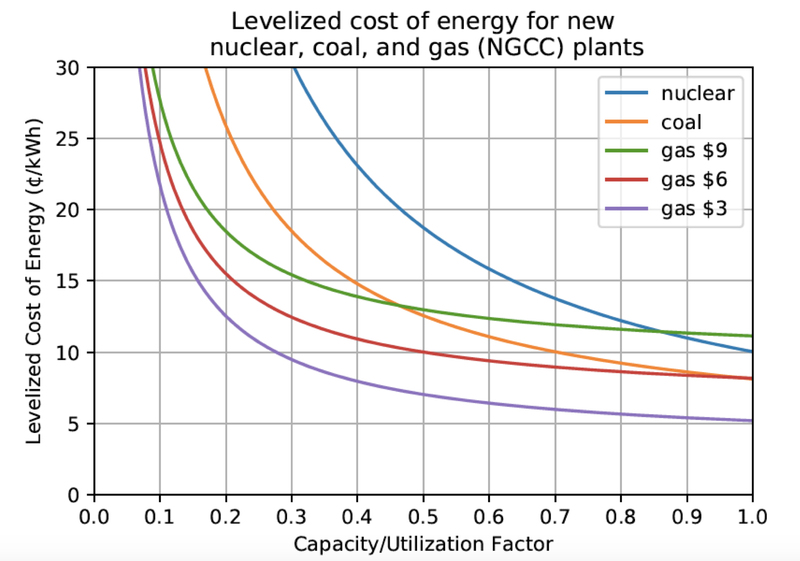 In principle, because of its flexibility, all electricity generation could be replaced with natural gas plants (NGCC, natural gas combined cycle and CT, combustion turbines), assuming there is enough natural gas available for peak times and the transportation system can deliver it to where it is needed. This has not been a serious problem of late in the United States, but of course it always needs to be studied and monitored as the generation mix evolves. With the rapid growth of renewables that produce no GHGs, however, there are even more interesting options than natural gas alone as replacement. 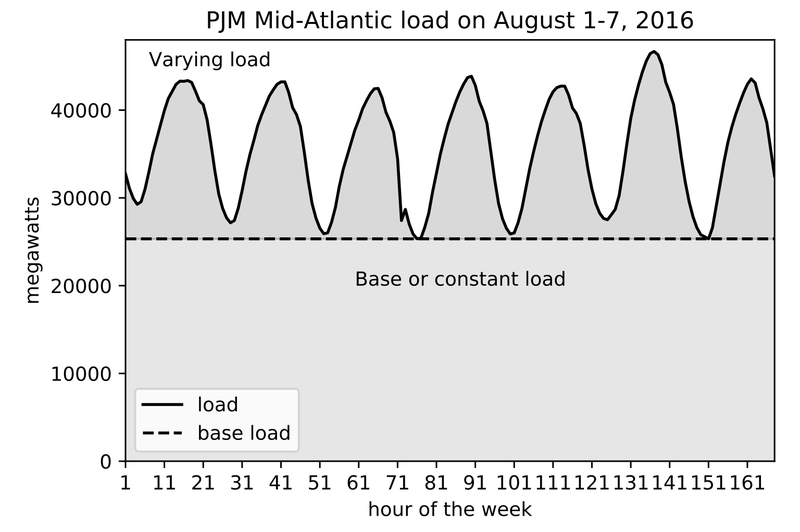 That said, combining multiple sources of renewable and non-renewable electricity to synthesize base load generation is being done today and is a large part of why the Perry proposal is such a non-starter. 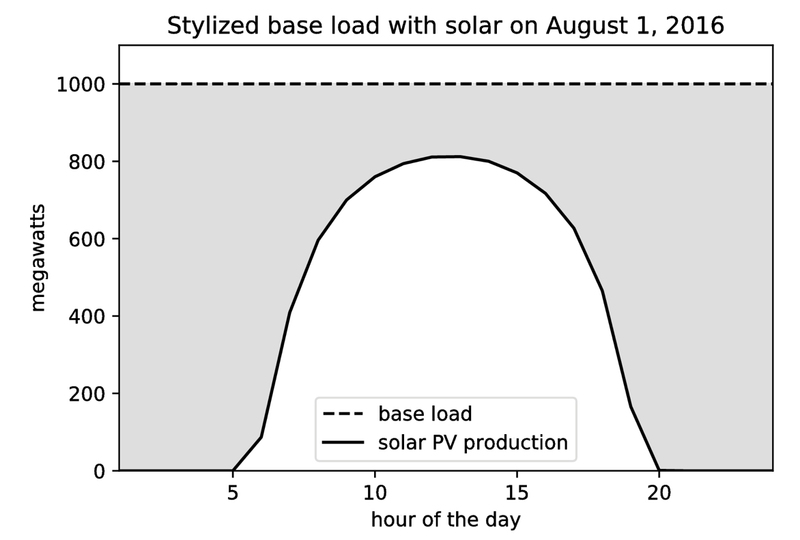 This is not to say that base load synthesis at a competitive cost is trivial or without challenges at high levels of penetration of renewables. Instead, we would emphasize that this —the base load synthesis problem — is a challenge that supporters of the energy transition would do well to embrace. Meeting these challenges successfully — demonstrating that sufficient electric power can be generated economically and reliably — would make the transition to renewable energy unstoppable. And searching for normal, we may have stumbled upon what could be the Trade of the Century. Occasionally, of course, odd things happen. And sometimes, things change in a fundamental way. But usually, when people say “this time is different”… it’s time to bet on normal. AuX tokens by GoldCrypto are a cryptocurrency backed by physical gold. Currently, each 750 AuX Tokens will be backed by one ounce of gold (approximately US$1.70 per AuX Token). This gold backing per AuX Token then progressively increases. Puregold is a payment gateway using Gold backed cryptocurrency. They offer two digital tokens called PGT for transactions; and PGG which is a cryptoasset backed by physical gold. 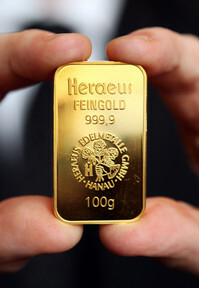 The company uses physical gold (of 999.9 quality) as its security.